Why Won't Windows Delete a File? Has Windows ever prevented you from deleting a file? This is one of those mysteries that can make you throw up your hands and cry, "Really, Windows? Really?" 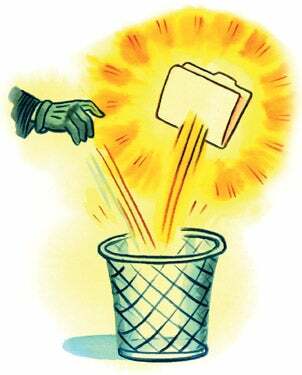 After all, deleting a file isn't brain surgery; it's computing at its most basic level. So why is your system balking at such a simple task? It's for your own protection--most of the time, anyway. If Windows won't delete a file or folder, that's usually because some application or operating system process is accessing it. If you were to delete the item while it's "in use" (even if you're not using it directly), an app or even Windows itself could crash. Nine times out of ten, the best way to deal with a file or folder that won't go willingly is to reboot your PC. Then, before you run any programs, try deleting that file again. It should go quietly.